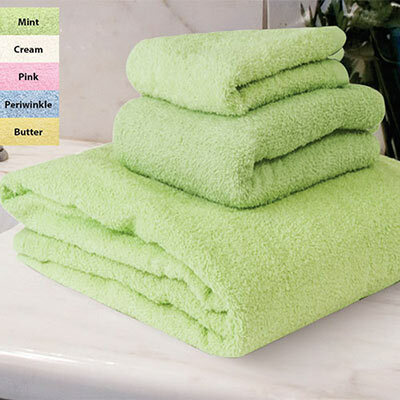 Our classic bath linens are thick, thirsty cotton/polyester terry. Machine wash. Imported. Specify: Mint, Cream,Pink, Periwinkle or Butter.